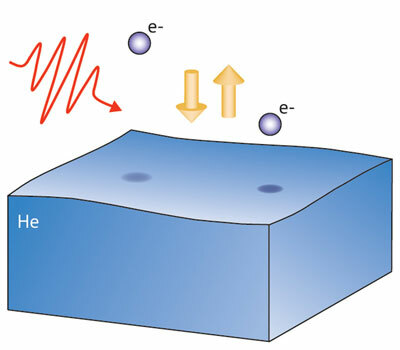 The new structure is able to open up a band gap in a large sheet of graphene to create a highly uniform, continuous semiconducting thin film that may be processed using standard planar semiconductor processing methods. From the study of an unusual two-dimensional electron system that is generated on the surface of low-temperature liquid helium, a RIKEN-led international research team has revealed that electrons free of atoms interact more strongly with each other than their counterparts in a semiconductor. 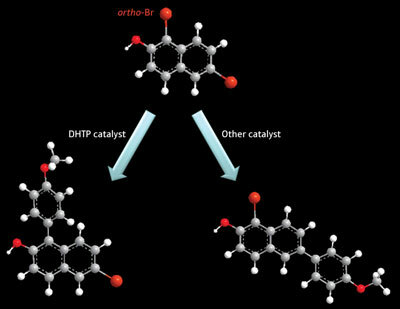 Scientists in Japan have developed a palladium-catalyzed procedure that couples aromatic rings in completely unexpected ways, thanks to a new molecular ligand with specially designed spatial attributes. Researchers at the University of Pennsylvania, the University of Wisconsin-Madison and IBM Research-Zurich have fabricated an ultra sharp, diamond-like carbon tip possessing such high strength that it is 3,000 times more wear-resistant at the nanoscale than silicon. Researchers have been able to see how heart failure affects the surface of an individual heart muscle cell in minute detail, using a new nanoscale scanning technique developed at Imperial College London. 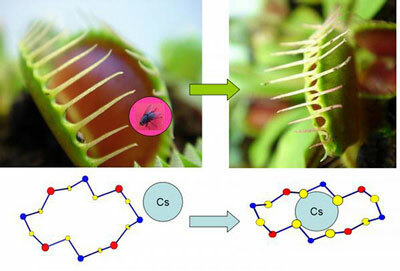 Like a Venus flytrap, a newly discovered chemical material is a picky eater - it won't snap its jaws shut for just anything. Instead of flies, however, its favorite food is radioactive nuclear waste. Exerting delicate control over a pair of atoms within a mere seven-millionths-of-a-second window of opportunity, physicists at the University of Wisconsin-Madison created an atomic circuit that may help quantum computing become a reality. This book explores the enormous diversity in social perspectives on the emergence of nanotechnologies. The diversity is structured by applying five broad categories: Philosophy, governance, science, representations and arts, and attention is drawn to important research lines and pertinent questions within and across these categories. Princeton engineers have made a breakthrough in an 80-year-old quandary in quantum physics, paving the way for the development of new materials that could make electronic devices smaller and cars more energy efficient. 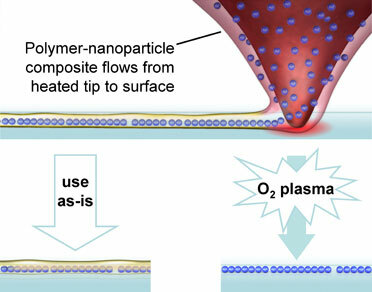 Huixin He, associate professor, nanoscale chemistry at Rutgers University, Newark, and Tamara Minko, professor at the Rutgers Ernest Mario School of Pharmacy, have developed a nanotechnology approach that potentially could eliminate the problems of side effects and drug resistance in the treatment of cancer. The PHOCUS ('Towards a photonic liquid state machine based on delay-coupled systems') project is designing and launching photonic systems that communicate through light for fast signal and versatile handling. A new long-term exhibition at the Walt Disney World Resort in Lake Buena Vista, Fl., will bring visitors face to face with the nanoworld. Landmark discovery will lay the path for energy-efficient, cost-effective creation of nanocrystals for potential applications in biomedicine, bio-imaging and production of 3D movies and displays. The method is flexible and generally applicable to obtaining structural information for signal forwarding pathways in the cell or in the regulation of gene expression. Researchers have developed a generic means for depositing many nanocomposites on multiple surfaces with nanoscale precision. Metal nanoparticles that were conducting, tiny magnetic nanoparticles, and nanoparticles that glowed, were all deposited using this one technique.